Harrow is back in action. Deadline reports the Australian network ABC has renewed the TV series for a second season. Season two of Harrow will begin production in September. ABC has not yet announced a premiere date. There’s no word on when or if American audiences will get to see this series. 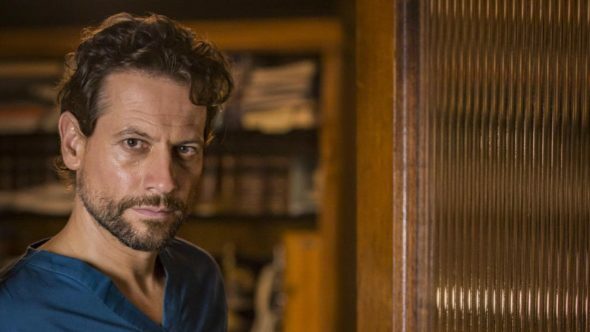 Gruffudd is a familiar face to viewers in the United States having starred in the Forever TV show on our ABC (American Broadcasting Company). What do you think? Have you seen Harrow? If so, will you watch season two? Would like it to air in the United States? More about: Harrow, Harrow: canceled or renewed? I can’t wait to watch season of Harrow in the states. Great show. Loved it! Looking forward to season 2. But while we’re waiting…who shot Harrow? Why!!? LOVE LOVE LOVE this series. Hope it comes to USA. Will Hulu be airing season 2 soon??? Oh my goodness ..I love this series I hate the way they left me hanging…please bring back the series to us in the United States!!! I thought it was going to air in Australia in March, looking at last year’s schedule. But no word yet. Given it’s been definitely renewed, that’s odd. yes I would watch Harrow season 2 here in the United States. Totally loved this show. Can’t wait for season 2.